AVTA supports its community and encourages seniors to ride local transit for free. 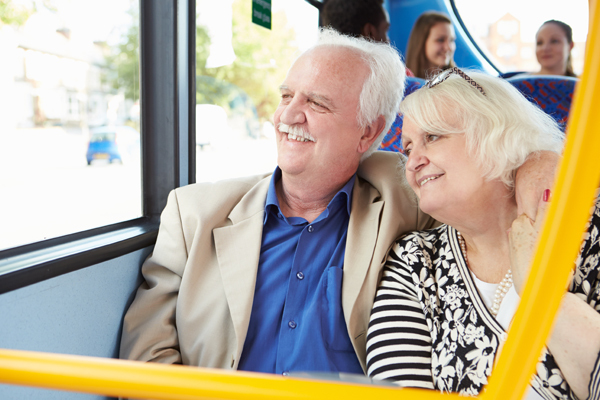 AVTA offers a special Senior Annual Pass to eligible seniors 62 years and older, which will allow them to ride for free on local transit service. Seniors may take advantage of discounted bus passes on AVTA's commuter service, and also qualify for AVTA's Dial-A-Ride service, which provides curb to curb transportation throughout the Antelope Valley. Seniors are encouraged to apply for a TAP card in order to receive all available discounts and to be eligible for Dial-a-Ride service. The application process is quick and easy. Simply stop by our AVTA office and our friendly customer service representatives will guide you through the process. Our office is located at 42210 6th Street West in Lancaster. We want you to enjoy your ride with us. We invite you to give our customer service representatives a call to help plan your trip and explain how the map and time schedules work. Our main number is (661) 945-9445. AVTA has also produced a series of travel training videos to help you learn how to best utilize AVTA's services. These videos are now available through this website by accessing AVTA videos on the home page.